We Buy Houses Fast. No Commissions. No Fees. No Hassles. You Can Sell Your House Fast! You Can Avoid Waiting Months And Months! Get A Fair All-Cash Offer Today! We can pay cash so you avoid waiting for a bank to make up their mind for approval. And your closing won’t be delayed because a mortgage company decides to require more paperwork at the last minute. Find out more about our quick house buying process here. Does your house need expensive repairs? 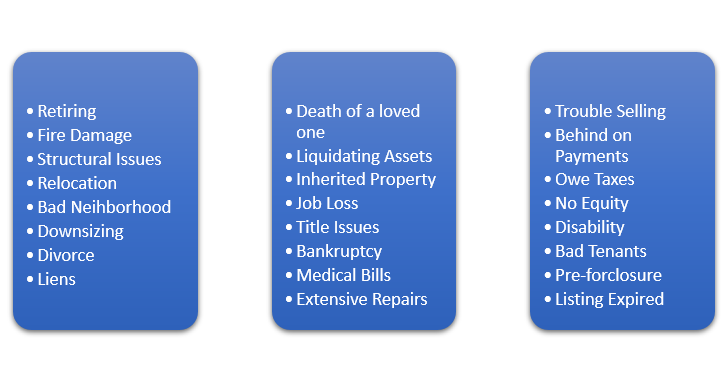 That’s a list of just a fee of the tough situations that we can help you with. When you call us, we’ll listen to your individual circumstances. Whether you are living in the house or it’s vacant or you have tenants, we can give you a fair cash offer. We create an offer that works for you and fits within your time frame. If you have any questions about how it works, give us a call today at 916-476-2381 or fill out the quick form. We help property owners just like you, in all kinds of situations. From divorce, foreclosure, death of a family member, burdensome rental property, and all kinds of other situations. Are you asking yourself how to “Sell My House Fast”? I buy houses in Sacramento and surrounding areas. No matter the condition of your house – your situation – or time frame, you can Sell your House Fast. Those who own property simply have lives that are too busy to take the time to do all of things that typically need to be done to prepare a house to sell on the market… if that describes you, just let us know about the property you’d like to be rid of and sell your house fast for cash. 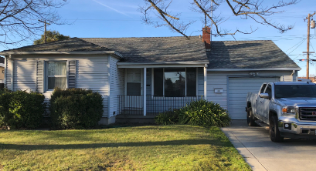 If you prefer to talk to someone in our office before submitting your property information just give me a call today at 916-476-2381 My goal is to help make your life easier and to get out from under that property that’s holding you down.